We’ve learned a lot about planning, managing and executing successful meetings over the course of two decades and 2,900+ events. On this blog, we share insights, tips and best practices for creating extraordinary event experiences… and some other fun stuff too. Enjoy! 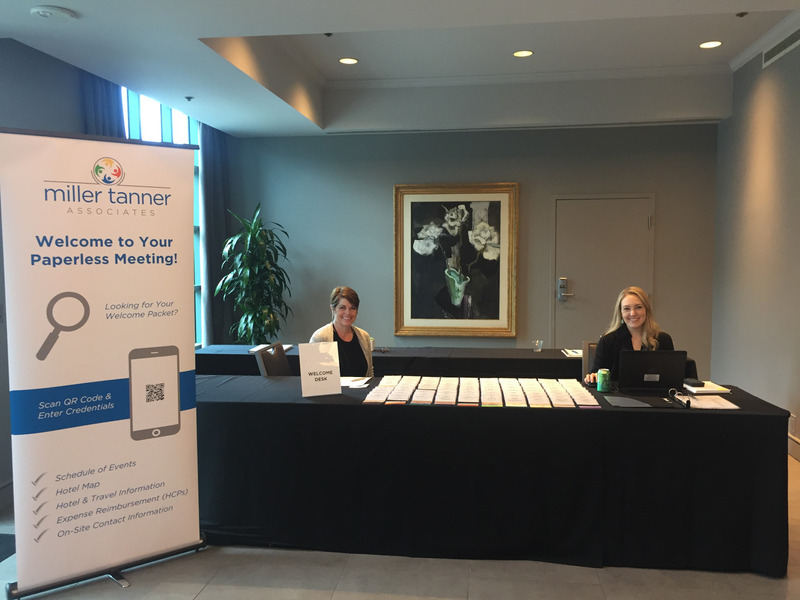 Miller Tanner Associates is a meeting planning company that provides cost-effective, technology-based solutions for your meeting and event needs. We use our advanced event technology and meeting planning expertise to help pharmaceutical companies discover how to more effectively train and engage their study sites. We partnered with a pharmaceutical company whose initiative was aimed at improving investigator meetings’ content for more engagement, creating best practices for all future investigator meetings and measuring ROI. 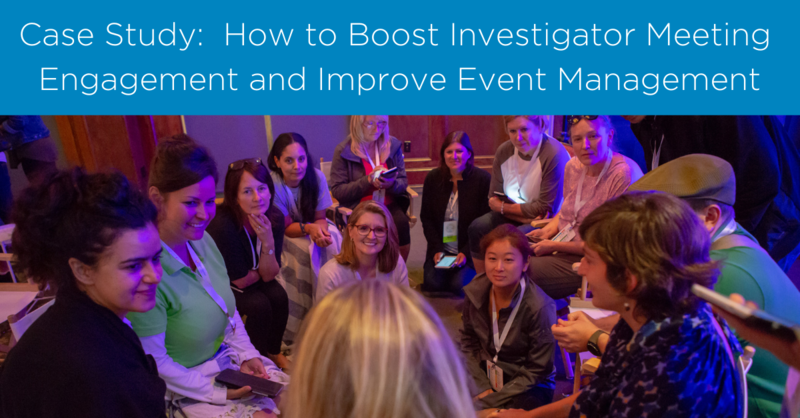 Our team of highly-skilled event technology experts and meeting planners designed a series of investigator meetings that surmounted these challenges. The Miller Tanner Associates team implemented a strategy that resulted in a more efficient process for our client’s management team and achieved higher engagement among the investigator site participants. Consultation: Our team provided comprehensive event consultation from start to finish. We led our client through the best practices of creating an agenda that would increase content engagement and maximize the face-to-face meeting. Client Event Web App: By using our advanced proprietary, customizable client event website, clinical trial managers had the ability to manage the event seamlessly in real time, address deviations that occurred, chat with our team through built-in instant messaging, and track all changes throughout the meeting as they occurred. Attend Web App: Our paperless meeting web app made it easy for attendees to register within the system, follow agenda, and interact with the presenters. Audience Engagement Platform: Our audience engagement platform provided a high level of interaction, allowing participants to ask questions and receive feedback live throughout the event. 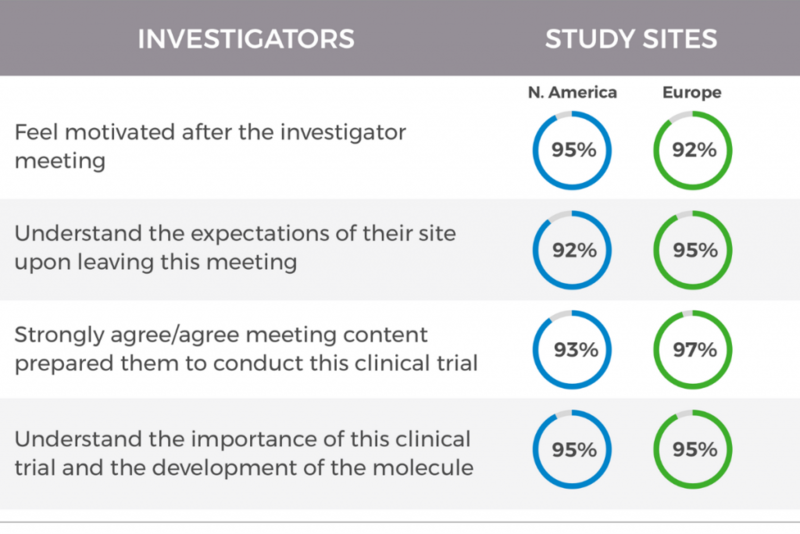 Exceeded its goal of 90 percent or higher positive response rate from investigators who attended the investigator meeting for the global study. 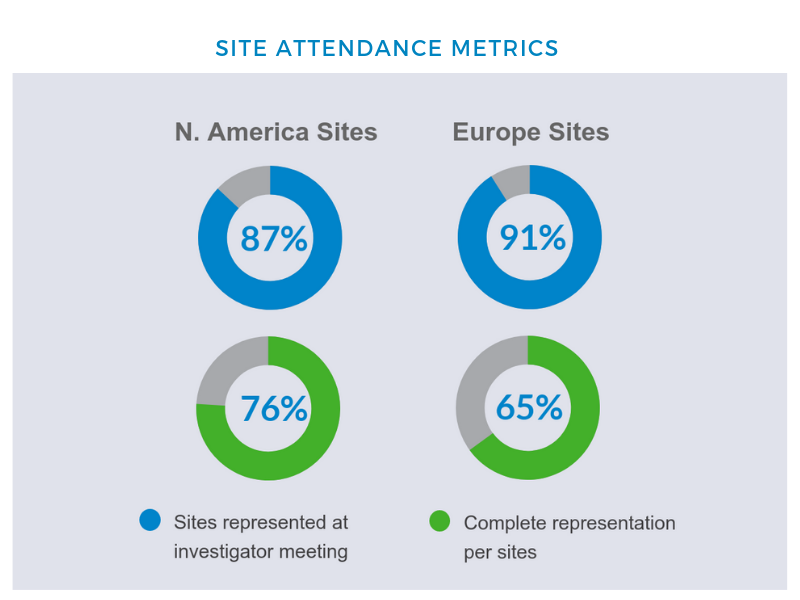 Increased site representation and attendance globally. Manage the investigator meeting series more systematically with real-time deviation notifications and automated registration. 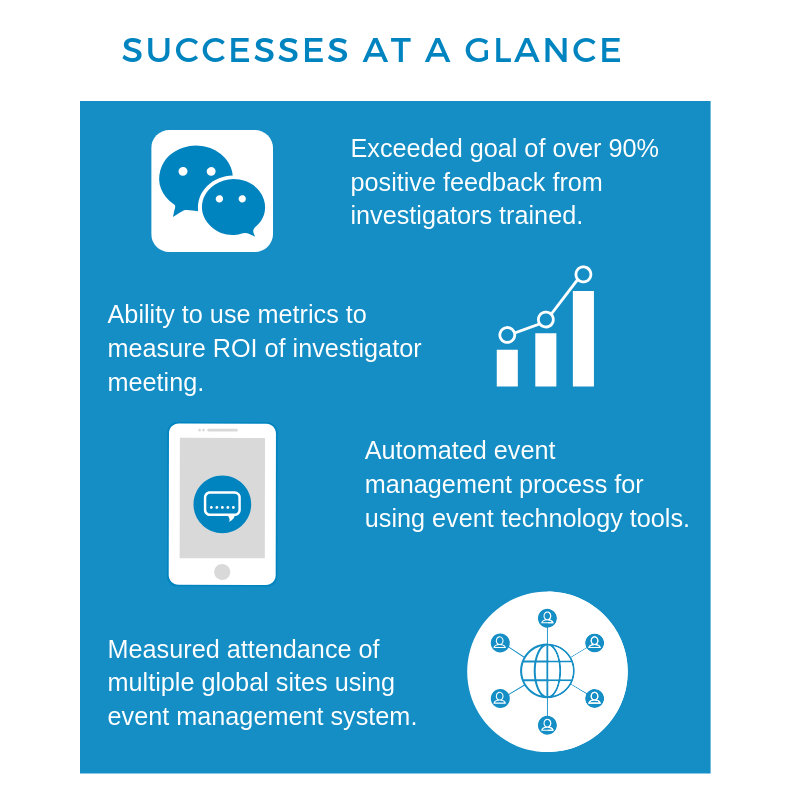 Improved overall engagement and efficiency with the ability to measure ROI of the investigator meeting by using our advanced event technology and our team of event experts. Miller Tanner Associates is a full-service event management company. If you would like to request a proposal for our services, please click below to submit your RFP Form online.